We are a family owned car buying business that operates in the Chicagoland area with over a decade of experience under our belts. We are proud of our track record in the Chicago and the surrounding suburbs and have consistently offered some of the very best car buying service in the area. Our number one priority is customer satisfaction, and we understand that means paying our clients the most money possible for their cars, trucks, and SUVs. We treat all of our customers as family and treat you with the respect you deserve, which makes for a very friendly and inviting salvage car business. We want to ensure you are comfortable when you chose to sell your salvage car to us, and our professional staff is always available to answer any questions you have about the junk car business. 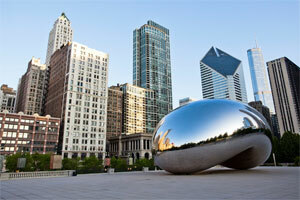 We not only work in Chicago, but it is the place we call our home. We raise our family here; our kids go to school here; we walk our dog here, which makes preserving the city and its environment just as important to us as it is to you. That is the exact reason we work started our unique go green initiative. We want to make the city as safe and clean as possible for everyone living there. Old vehicles contain dangerous levels of toxins and chemicals that are harmful for the environment, and abandoned vehicles are dangerous for children and animals as well. By getting these junk cars off the streets, we are doing everything we can to improve the city of Chicago and make it a better place to raise a family. Give us a call today at 888-506-5508, and we will give you an immediate quote on your junk car and pay out the most cash possible. We’ll come straight to you and pay you cash on the spot without any surprise fees at pickup or any other time for that matter. We will tow it for free from any location in the Chicagoland area and simplify the process so all you have to do is be ready to get cash for your junk car.